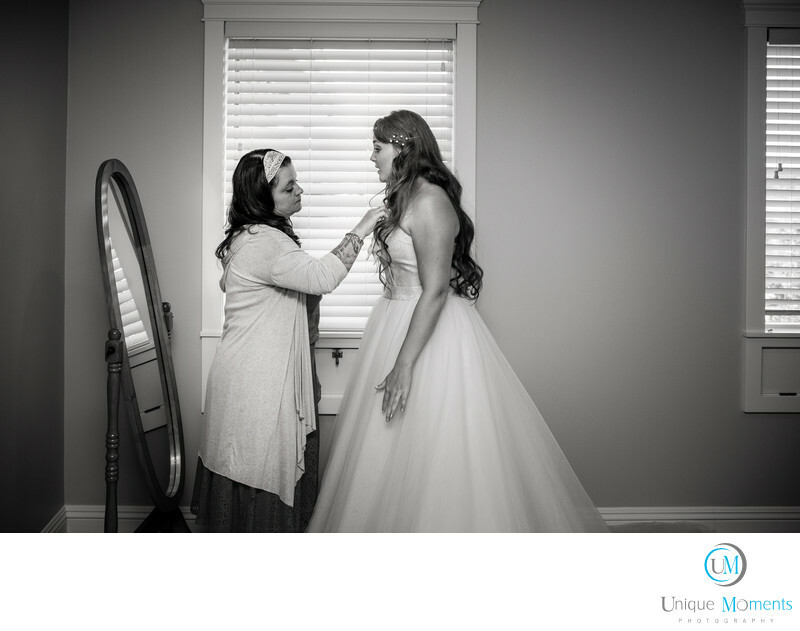 Unique Moments Photography of Gig Harbor Photographed this wedding in September 2015. This image was priceless. Mother daughter relationships. They are huge and we watch the interactions very closely. In this images, our bride was getting a little excited about the dress and hair placement. Mom was like Ok. Its ok. You Look Beautiful. Everything is just perfect. Two Minutes later, Mom was crying and falling apart and our bride was the one keeping the calm and telling everyone everything was fine. Nothing to worry about. Getting ready images are huge. The interactions with family members and close friends are so important to capture. This was just one of many that were captured at this wedding. Location: University Place WA private residence.